It’s that time of year again, where MMO developers look back at what they’ve done over the last 12 months and what they’re planning on doing in the next 12. Well…. kinda. Today, WildStar Game Director Chad “Pappy” Moore made the obligatory “state of the game” post, and it’s… well… a tad vague in some areas. First off, he discussed the release of Redmoon Mutiny, the second phase of the Redmoon Terror raid. The raid has gone over well with players, with several guilds having cleared it — first to clear was Codex. Moore then went on to reflect on the recent changes to the faction barrier, holiday events, and a few other high points including the release of Destination Arcterra. So, I suppose we’ll find out later what it is the developers are up to. But there’s no word as to when at the moment. Hopefully, for all you WildStar players, it’ll be worth the wait. 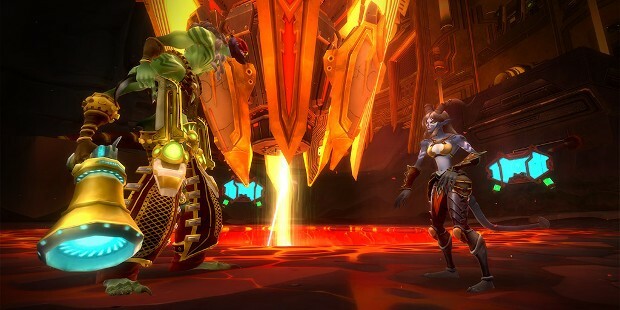 If you’d like to read Moore’s post, you can do so on the WildStar blog. A new plan? How about optimizing their engine that melt y GC that can run warface in hd? Apart from that paying for guild creation, wtf? Can run the game at 144 fps (to match my sync rate) with a 760 GTX. Thats a fairly cheap card. Dunno what problems you are having. this game is awesome but is empty like a graveyard even in the comments about widlstar no one talk nothing,but theres a lot of stuff they can do put more races,skills even new classes to the game.